If you like hummus, you are going to love this beet hummus recipe. Beets are a great source of vitamin C and many vitamins and minerals, making them a healthy addition to your basic hummus recipe. Surprisingly, the garlic and tahini overpower the beet flavor, so you don’t taste them much if you are worried about a strong beet flavor in this hummus recipe. Serve this beet hummus dip with crackers or vegetables for a snack or appetizer. The beets add a nice color, don’t you think? 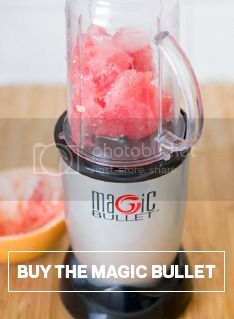 Add all ingredients to a Magic Bullet cup and blend until smooth and creamy. Add more olive oil if desired to reach a more creamy texture.